The recent release of the World Health Organization’s Environmental Noise Guidelines for Europe has the wind industry in a flat panic. Here’s a wrap-up on the WHO Guidelines from Sherri Lange. Abstract: While only “conditional,” acknowledgement is given to pulsation (impulsive amplitude modification, as Steven Cooper calls it) and ILFN (Infra and Low Frequency Noise), the new World Health Organization report underscores the failure of current regulations of dB to manage health impacts from industrial wind installations worldwide. The other irrefutable conclusion is that the wind industry has been given a regulatory path to profits with an unfathomable license to hurt in the form of sleep deprivation (and associated disease) for a very long time. Master Resource reported earlier on the findings of the Australian Senate Select Committee on Wind Turbines (June 29, 2015). An Australian Court later established that there is a direct pathway to disease resulting from wind turbine noise. 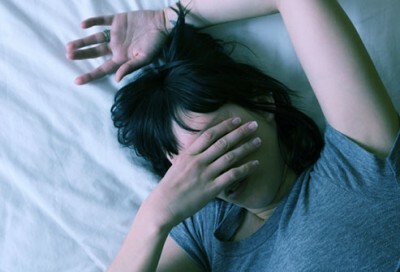 This Guideline recognizes that the “noise” is more than ‘annoyance’ (and “annoyance” is of lesser concern than sleep deprivation)–and that chronic noise contributes to cardiovascular disease; lack of sleep, hearing loss, tinnitus and stress; and increased changes in blood pressure and heart health. These, of course, are well known impacts to communities and professionals worldwide. These negative impacts have, however, been slow to be recognized at levels such as the WHO. Analyses of the WHO findings are happening around the world, with some looking to the anticipated mass of class action lawsuits, and others more cautiously examining the omissions, and overly cautious, and even erroneous WHO findings, which conclude that there is insufficient evidence to provide night time wind turbine noise guidelines. Also, but only gently underscored, not highlighted in the Wind Turbine Noise Guidelines, are the now obvious and historically reported impacts of ILFN, shadow flicker, vibration, pressure pulsation. For average noise exposure (WIND TURBINES), the GDG (Guideline Development Group) conditionally recommends reducing noise levels produced by wind turbines below 45 dB Lden, as wind turbine noise above this level is associated with adverse health effects. No recommendation is made for average night noise exposure Lnight of wind turbines. The quality of evidence of night-time exposure to wind turbine noise is too low to allow a recommendation. To reduce health effects, the GDG conditionally recommends that policy-makers implement suitable measures to reduce noise exposure from wind turbines in the population exposed to levels above the guideline values for average noise exposure. No evidence is available, however, to facilitate the recommendation of one particular type of intervention over another. 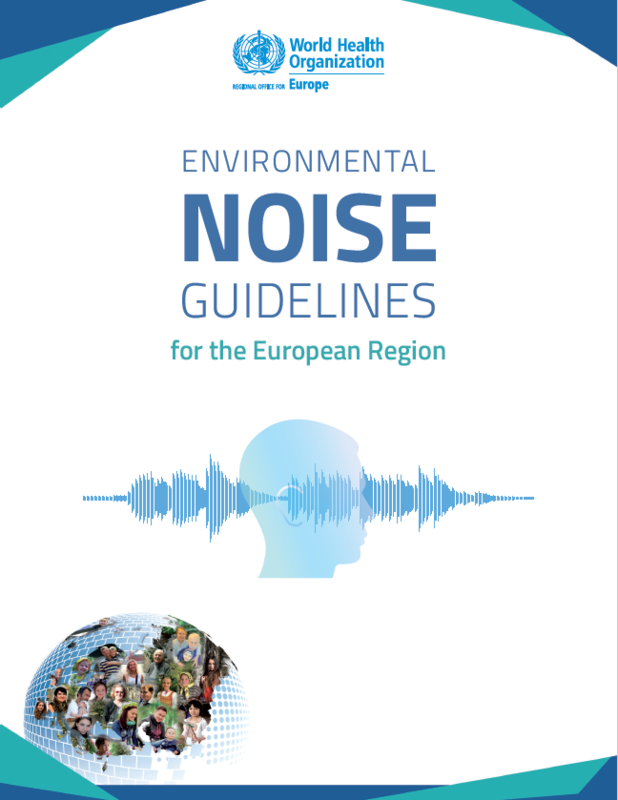 There is an additional emphasis in the Guide to acknowledge the “burden of environmental noise” exposure. Sufficient information was deemed available to quantify the burden of disease from environmental noise (our emphasis) for cardiovascular disease, cognitive impairment in children, sleep disturbance, tinnitus and annoyance. The report, based on a limited set of data, estimated that DALYs lost from environmental noise in western European countries are equivalent to 61 000 years for ischaemic (sic) heart disease (IHD), 45 000 years for cognitive impairment in children, 903 000 years for sleep disturbance, 22 000 years for tinnitus and 654 000 years for annoyance (WHO Regional Office for Europe & JRC, 2011). These results indicate that at least one million healthy years of life are lost every year from traffic-related environmental noise in western Europe. Sleep disturbance and annoyance, mostly related to road traffic noise, constitute the bulk of this burden. (Our emphasis) Available assessments place the burden of disease from environmental noise as the second highest after air pollution (WHO Regional Office for Europe & JRC, 2011; Hänninen et al., 2014; WHO 2014b). While the new 2018 Guidelines suggest there is insufficient evidence for the WHO to prescribe or suggest acceptable night time noise levels for wind turbines, other WHO documents suggest strongly that the evidence has accrued and been applied for other agents of noise: road traffic, rail, air traffic, etc. These guidelines, such as for Community Noise, suggest that children and the ill, who spend more time proportionately in beds and sleep modes, will require reduced noise levels. The WHO guidelines for community noise recommend less than 30 A-weighted decibels (dB(A)) in bedrooms during the night for a sleep of good quality and less than 35 dB(A) in classrooms to allow good teaching and learning conditions. The WHO guidelines for night noise recommend less than 40 dB(A) of annual average (Lnight) outside of bedrooms to prevent adverse health effects from night noise. One of the sources of noise you are investigating is that from wind turbines which was not addressed in previous guidelines. We welcome your review because, despite mounting anecdotal and academic evidence, for too long mitigation against adverse health effects following the construction of wind turbines has been absent from planning guidelines and noise pollution regulations in many European countries, especially with respect to sound below 200 Hz. There is a pressing need for new guidelines to encourage governments better to safeguard the health of their citizens. You will be aware that these problems are not confined to Europe. Neither are they confined to human beings. We are hopeful that your deliberations will result in tough new European guidelines which in turn will prompt a serious worldwide examination of all aspects of this problem, including the widely-reported effects on animals. WHO Guideline appears to have something for everyone. Some developers and cooperating governments will gloat that they are already operating at or below the WHO 45 dB L(den) suggested guideline. Others may find it a useful tool to pressure for a downsize of their existing regulations. There are no international regulations. We add that current regulations, decided by country, region, or even locally, on audible noise caused by the unique and various grinding, vibrating, screeching, and whomping sounds of a wind turbine, do nothing for health protection with respect to the even more dangerous sub acoustic impacts. What would have added substantially to the WHO “conditional” acknowledgement of harm from wind turbine noise, would have been a hefty or certain “nod” to infra and low frequency impacts and pressure pulsation. These impacts have numerously been reported and recognized by volumes of professionals, including Dr. Mariana Alves Pereira, whose work on vibro-acoustic disease is irrefutably clear. Below, Dr. Laurie confirms the body of research conducted by NASA some thirty years ago. Despite inadequacies, the WHO Guidelines are now finally inclusive of wind turbine “noise” and these now bolster what has been known for over 30 years: harm has been and continues to be administered. As erroneously suggested by the industry, victims are not poorly adapting, or having poor coping skills, or inflicted with prior tendency to fear or neuroses. The harm is real, ongoing, and sinister, because people have known, do know, and continue the profiteering. The burden of environmental noise with wind turbines is not episodic or random: for the most part its effects are constant and unrelenting (nothing like an occasional aircraft over the house, nor the 70 plus dB experienced at a concert for a few hours). This is an undeniable health pressure of enormous magnitude. As the WHO prescribes various adjustments or mitigation, say, for road traffic (choice of tires, road surface, lowering traffic flow, different adjustments to road tunnels, insulation, etc. ), it acknowledges that it does not have the ability or facts to recommend mitigation for the burden of wind turbine noise. However, to so many now studied persons about noise and night time sleep disruptions, the remediation is fairly obvious. This particular burden, wind turbine noise, one unto itself in terms of environmental noise, unique in noise dynamics, heard, and felt sound pulsations/pressures, deserves a full-blown international guideline/regulation on all the sound “assets” of the machine. pressure pulsation and ILFN, and vibration. acknowledgement and recommendations of the tens of thousands or even millions of persons worldwide, many children and elderly, who have registered complaints of seriously disrupted sleep. These are anecdotal and recorded in numerous papers and findings. Missing completely is the seriously necessary Guideline for Night time noise with wind turbines. Impacts reported worldwide to animals, livestock, pets, wildlife. Of every description, wild, domesticated and “husbanded”. The wind industry has denied and ignored evidence directly linking wind turbines and sleep disruption leading to negative human and animal impacts worldwide. Expect WHO’s new Guidelines to give rise to new standards to mitigate if not eliminate this ongoing suffering. (Nissenbaum, Aramini, and Hanning, Effects of industrial wind turbine noise on sleep and health, 2012). noise from wind turbines and health effects are needed.” I find it a little strange that no one else has seen this. Nevermind I found where you got that quote from. It’s on the WHOs website. It states that “Noise is an important public health issue. It has negative impacts on human health and well-being and is a growing concern.” WHO is talking about a number of different types of noise being a potential threat to health. In this report airplane noise can also be a threat if above 45 dB but you don’t see anyone freaking out over airplanes, do you? Yes, they do. Plenty of airports around the world are subject to nightime curfews. And people under airport flightpaths ‘freakout’ all the time. What is clear is that the WHO left out quite a few recent and relevant studies it was supplied with for its review of wind turbine noise. A follow up letter is being drafted. It is our view that many reliable and valid studies of a high caliber are already done, showing irrefutably that harm is being done. See Steven Cooper for example, Bridgewater study. Airports are not constant droning, constant unrelenting pulsation and ILFN….constant, and add the startle reflex. The WHO recommendations are all well and good but the main hurdle is the conspiracy between planning lawyers and the wind farm developer’s lawyers. The fact of the matter is that the noise limit used in Victoria has been corrupted by wind farm lawyers and department of planning lawyers, by changing the Victorian policy Base noise limit of 40dBA to 40dBA L95 (1998) L90 (2010). Adding the suffix L95 means that 40dBA noise limit can be exceeded for 90 per cent of the measured period. This allows the noise limit to be in excess of 60dBA based on independent assessment provided to the minister for planning and his department. This being a deliberate act of fraud requires criminal charges to be laid by the Federal police against whoever is responsible. I notified the Clean Energy Regulator about non compliance at the Waubra Wind Farm a number of times, only to receive stupid responses. It is illegal for electricity to be accepted into the grid, unless the Wind Farm is Compliant. The planning minister advised the developer of the Waubra Wind Farm that there was a breach of permit condition 16, in 2010. But did not advise the regulator. Condition 16 relates to complaint investigation reports not being complete. The Waubra Wind Farm is still in breach of its permit because we still have not been provided with a complaint investigation report. I complained about excessive noise at our property on May 26 2009. This was never assessed at our property, as required by the NZ Standard and the EPA guideline required by the permit specifies LAeq assessment by objective assessment and frequency analysis if required. My investigations indicate that the air pressure variations some times referred to low frequency or infrasound is identified by fluctuation of high frequency sound in the range between 400 hz and 16,000 hz . Inside and out side of homes this can only be obtained by recording sound levels in real time and one third octave analysis, which is a permit requirement and not done .. The effect of pulsing of high frequency noise results in a startle reflex response, that results in loss of sleep and sickness. This fright response creates tension of the neck muscles. People react differently to this response, in that the tension created over a period of time relaxes and that person is not so affected. For other people, medical intervention is required, combined with a separation from the source that created the startle response. Once I identified the cause of the startle response and had medical intervention, the pain in my head was resolved nearly 9 years later. It must be noted that all possible causes of concern made by complainants is to be investigated, in the complaints procedure of permit .. It must also be noted that non investigation of a complaint is a breach of permit and the planning minister’s responsibility. I do not consider ACCIONA or the Planning Dept saying they are satisfied that compliance has been met, without providing any evidence a fair and reasonable response.. Condition 15 of permit requires the results of the investigation report to be to the satisfaction of the complainant. My family is not satisfied because there is no report. The Ombudsman, in 2012, suggested I take the Planning Department to VCAT. When I said to VCAT I wanted to take the planning department to VCAT I was told that it was not possible ..
Where is our human right to be treated fairly by the law? was published six days ago. Check out the comments to the notrickszone article Delingpole includes, regarding recent developments in Ontario, Canada. Why has the WHO ignored the findings of infrasound and LFN expert Dr. Mariana Alves-Pereira? What she has said recently(May 2018), to professionals in Slovenia, is that infrasound from wind turbines damages the neurological and the cardiovascular system. The damage is cumulative. It is irreversible. She has also said that knowing what she knows, she would not live within 20 km from wind turbines. Why on earth are people being forced to live within 20 km from wind turbines! Why is the WHO not mentioning LFN and infrasound harm? Who will be held accountable for the health harm? It is starting to take a place in the history of this horror show. Presented this week to the Committee for Social Policy in Toronto, and they were taking it very seriously. Refreshing. HOPEFUL. Must be taken seriously by politicos, but will they?